Torgiano, Perugia. 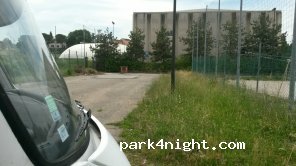 Parking gratuit des installations sportives, calme, éclairés, service gratuit. pas d'électricité Près du petit centre historique de Torgiano. Torgiano, Perugia. 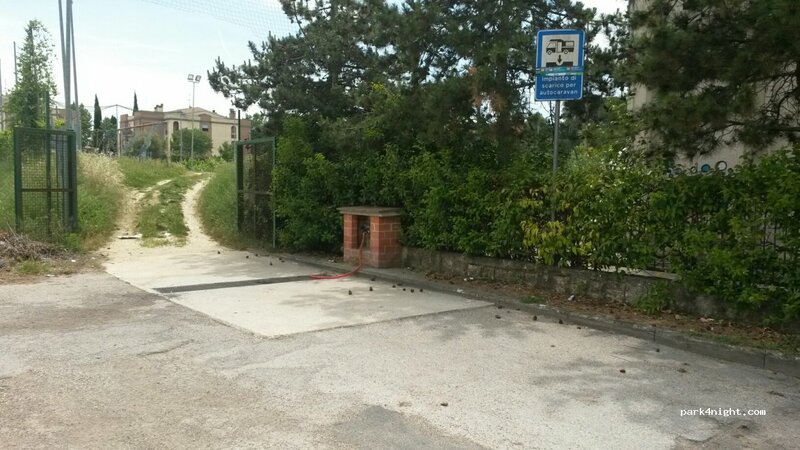 Free parking sports facilities, quiet, lighted, free service. 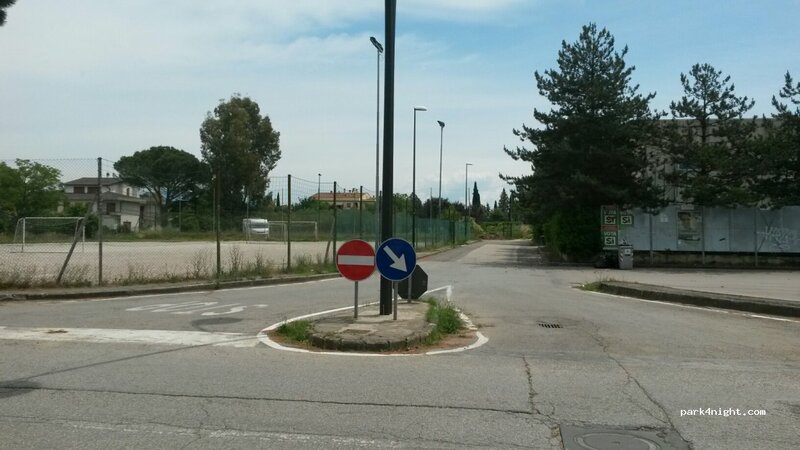 no electricity Near the small historic center of Torgiano. Torgiano, Perugia. 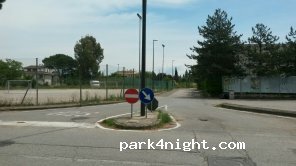 Parcheggio gratuito presso impianti sportivi, tranquillo, illuminato, con servizio carico e scarico gratuito. no elettricità Vicino piccolo centro storico di Torgiano. Good for quick dumping and refilling water, even for a quiet overnight stay before or after visiting Assisi. Not very romantic, but a practical and basic parking. Some visitors late afternoon going to sport, for the rest quiet. I had a good sleep! Stellplatz direkt am Sportplatz etwas zurückgesetzt. Wir haben hier eine ruhige Nacht verbracht. Entsorgung ist kostenlos. Wir konnten allerdings keine Möglichkeit finden, Wasser zu tanken. Es war nur ein festmontierter Schlauch für das Abwasser vorhanden. The area is unkept but plenty of parking and virtually noone around. Water is free.